Contact your local zone chair person or Lion Brian Overturf at: Pvzoo2000@yahoo.com to purchase any of these pins. Pins are available at $3.00/each. To honor and thank the Men and Women who serve us in the United States Military, District 27-D2 has created a five pin set of Military pins. The first three of the set of 27-D2 Military Pins are pictured above. 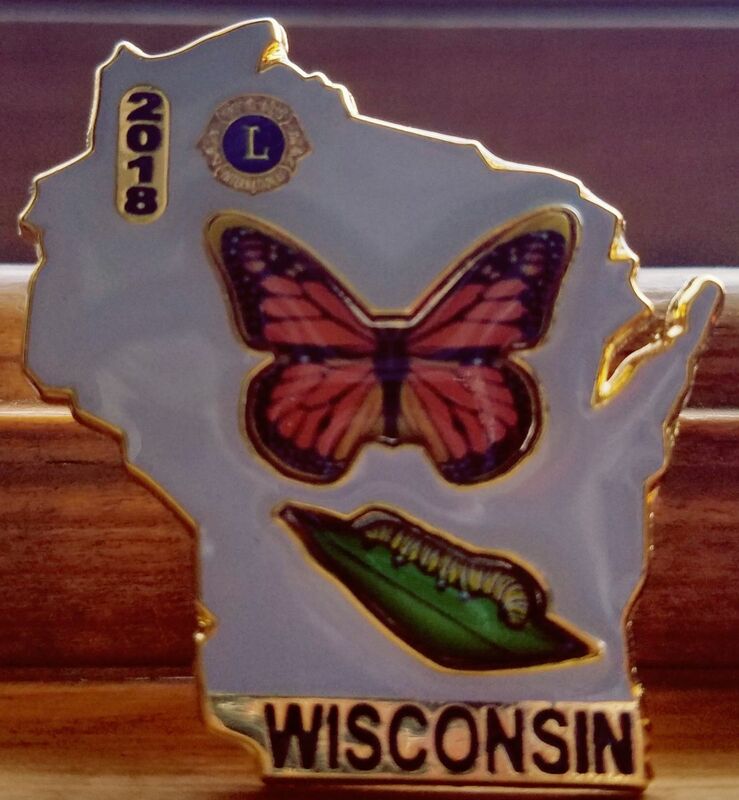 The Wisconsin State pin for 2018 is now available at cost of $2.00/each. This is first in a set of four coming over the next few years.